Now in a storming full-colour graphic format. Even better than the real thing! See all the action unfold in slamming move by move frames. 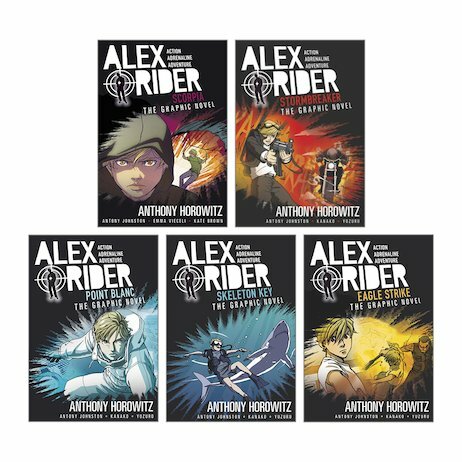 Alex Rider is fluent in five languages. He can kickbox better than Bruce Lee, and break into a secure bank vault no problem. Why is this? It’s because Alex isn’t just a teenage schoolboy. He’s also a spy for MI6. But while this might sound pretty cool, it’s also extremely deadly. Alex has made a lot of enemies. How long can he stay alive?